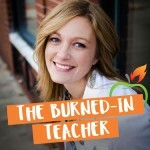 In this episode, I interview my teacher bestie Rachael Givens. She shares her teaching journey, mistakes she's made, and lessons she's learned from them. Rachael and I also reflect together about teacher burnout and about our experience with our administration when we worked on the same grade-level team several years ago.